He really does sound like a socialist, doesn’t he? For those familiar with the senator’s long political career, expressing solidarity with suffering Greeks while teaching a little history is pure Bernie. Political reporters are typically confused by his socialist identity and they either joke about this weird, rumpled lefty running for president or try to expose alleged contradictions. Did you know the NRA supported Bernie’s first race for Congress? Well, yes, Bernie represents Vermont. In Vermont, hunters not owning a gun is like homeowners not owning a snow shovel. Here’s the secret of Bernie’s politics. He is relentlessly, stubbornly substantive—grounded in the guts and mechanics of governing. He is not given to cheap rhetoric or sleazy hits on opponents. In the House, he was admired for his ability to build left-right coalitions on issues that really were not ideological. In the Senate, he and John McCain wrote the VA reform legislation. Lots of members of Congress, left and right, have similar qualities but they don’t get great press because most political reporters think politics is only about elections, government is boing. To reinforce his alarm about the Greek crisis, Bernie brought two liberal stars of American economics—Joseph Stiglitz of Columbia and Jamie Galbraith of University Texas (yes, the son of John Kenneth) to explain the inside baseball of the Eurozone and the ominous implications. To provide a balanced debate for the mostly young audience, Bernie’s panel also included an orthodox economist (Jacob Kirkegaard) from the Peterson Institute for International Economics. As he often does, Sanders took the subject to a higher plane. 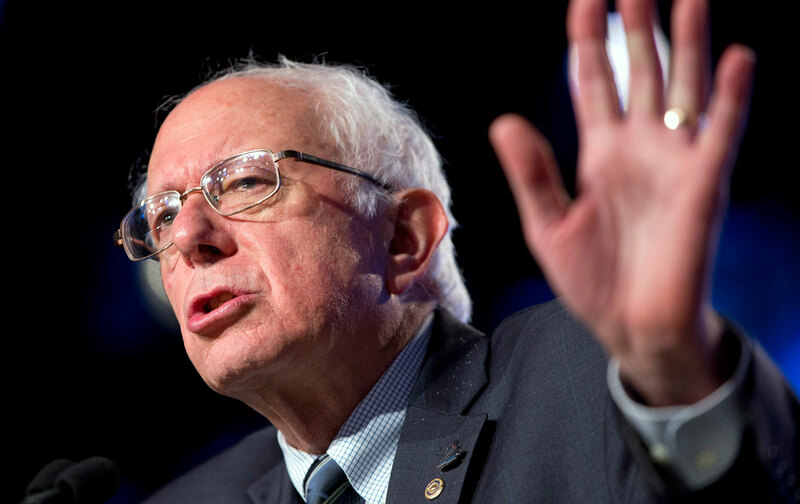 It is not just Greece’s problem, Bernie explained, and not just Europe’s. The global economy is now burdened with an international financial system that allows or encourages reckless actors to exploit weaker nations and redistribute wealth and income to the top. Bernie offered no details but he wants fundamental reform of the International Monetary Fund and World Bank, a new Bretton Woods agreement that would end the unregulated flows of international capital that are so destabilizing. He does sound like a socialist, doesn’t he?